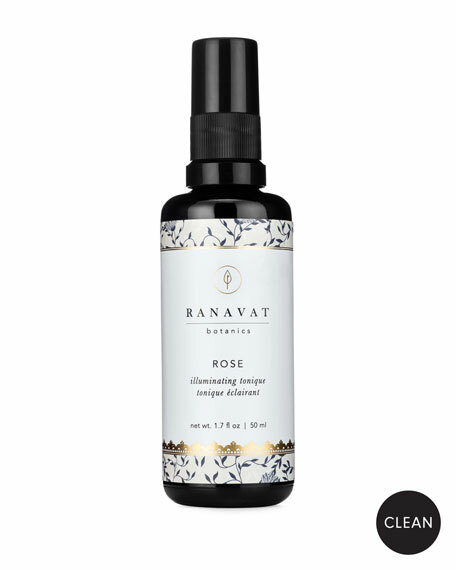 Ranavat Botanics creates luxurious high-performance botanical skin treatments inspired by India's lavish royals. 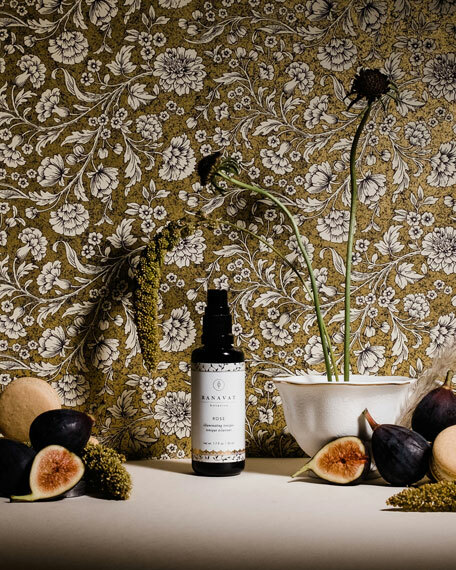 This super illuminating mist is crafted from USDA certified organic and steam-distilled rose petals to help nurture and brighten your skin. The pure rose water calms and balances revealing a glamorous and refreshed complexion. Apply your tonique with a cotton pad after cleansing your skin in the morning and evening to promote a more balanced complexion. You can mist throughout the day for a burst of hydration, and pair it with our Flawless Veil masque for the brightening therapy. Mix and match with any of our masques to combine different properties and enhance the beautifying impact.